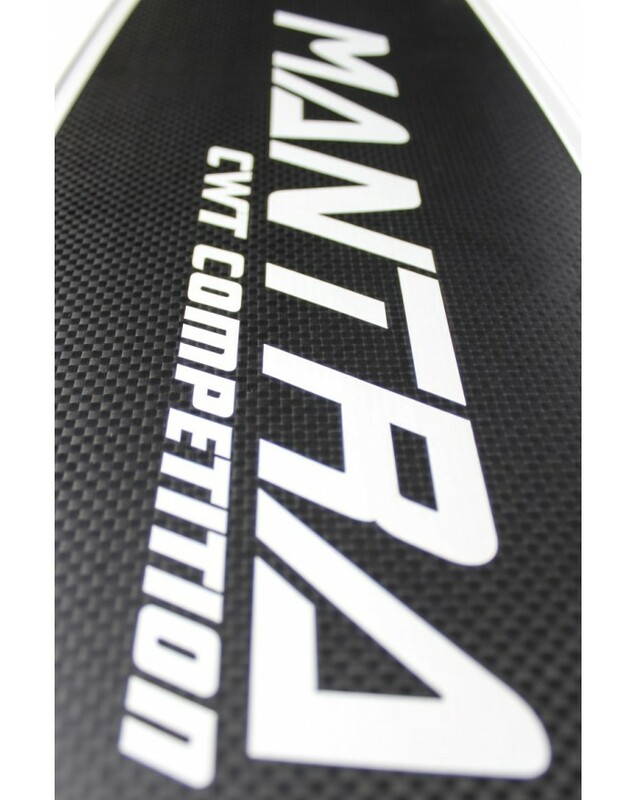 4) FEM Design: MANTRA CWT COMPETITION blades are optimized trough an accurate Design by means of Finite Element Softwares (FEM). The Design trough FEM software allows an optimized distribution of the stiffness, with the aim to obtain a deformation ensuring the maximum hydrodynamic efficiency. 7) Dimensions: Width 195 mm; Length from the bending angle 702 mm; bending angle 27 degrees. 8) Available stiffness: soft (S), medium (M). 9) Logo colour white only. 10) It’s exclusively supplied with S-WiNG footpocket by CETMA COMPOSITES. 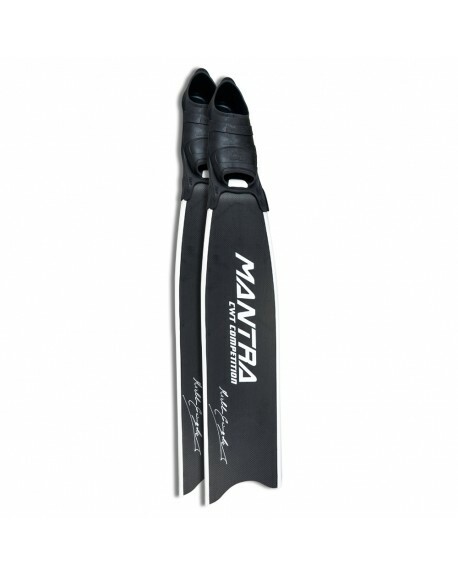 11) Water rail: new edition of High Performance CETMA COMPOSITES Water rails with variable height and high efficiency. 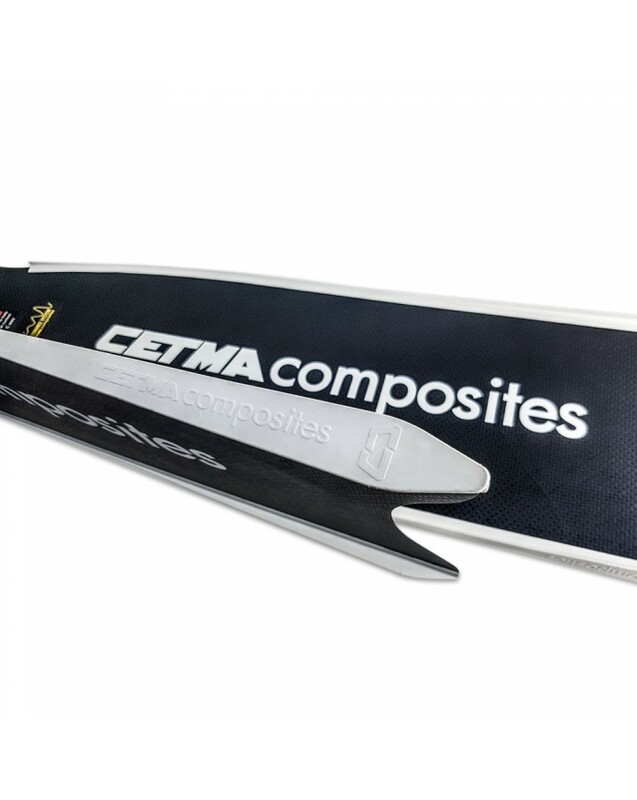 12) Warranty: 2 years on carbon parts; 5 years extension over registration on web site CETMA COMPOSITES ( Find out more ). 13) Prizes and awards: Italian National Record 2017 CWT bi-fins -94 meters (by Vincenzo Ferri), fist and second places at Italian outdoor championship.